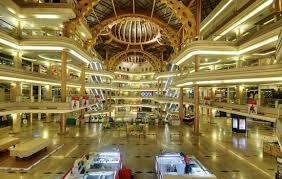 There are number of shopping brands and restaurants in Celebration Mall Udaipur. 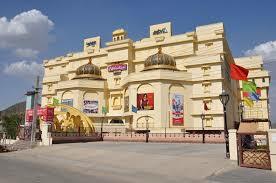 It is a perfect place for shopping in Udaipur. Restaurants : Waffles & Shakes, Apple Delight, Barbeque Nation, Café Coffee Day, Domino’s Pizza, Jaipur Jungle, McDonald, Subway, The Chocolate Room, The Food Court and more. Lifestyle Store’s : A La Perle Thai Spa, Ajmal , Archies, Big Bazaar, Boxania, CEX, Champion Family Salon, Champion Kid’s Salon, Ethnic Clock Makers, Funskool, Ganesham Electronics, Hungama 7D Cinema, Hungama Game Planet, Khoj, PVR Cinemas, Reliance Digital, Shree Designer Light, SIMBA, Spa Nation, The Body Shop, Zuari Furniture.